Join us at this technology and education event to explore the largest presentation of Mazak CNC machine tools in the region. 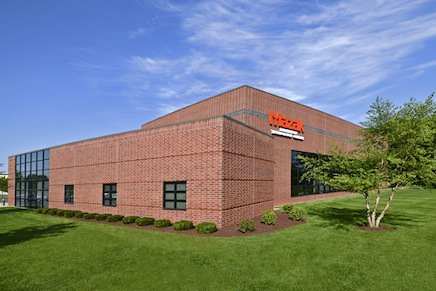 As a registered attendee, you will have the opportunity to see our application specialists conduct real-world metalworking demonstrations on a complete line-up of Mazak machines and show the latest advancements in milling, turning, 5-axis and multi-tasking technologies. You'll also see many other innovations for enhancing productivity and versatility on the shop floor, including our revolutionary SMOOTH TECHNOLOGY. This process-performance platform combines our MAZATROL Smooth CNCs with advanced machine design and unequaled engineering resources to create unsurpassed ease of use and productivity. Our Value Inspired Partners will be on hand to discuss with you how tooling, fixturing, CAD/CAM and other machine peripheral equipment can create total manufacturing solutions. Rounding out the event will be technical seminars covering some of the latest metalworking tools, trends and techniques to help manufacturers improve productivity and profitability. Students should plan to attend on Thursday, May 5. This special day is designed to give you an up-close look at the most advanced technologies available and highlight some of the lucrative career paths available in manufacturing today. BBQ lunch and pig roast dinner provided daily. Machine list subject to change.